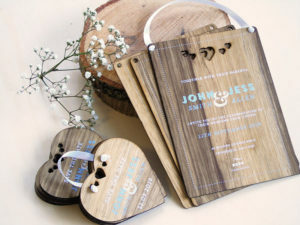 Unique Wooden Wedding Invitations, Save the Dates, Signs, Table items and more. 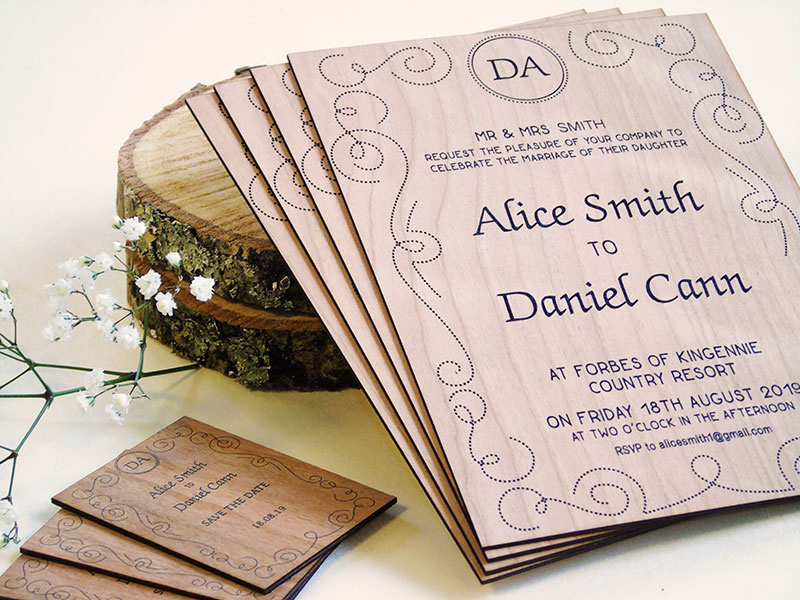 Our luxury wooden wedding stationery is the ultimate in WOW factor for your guests, creating a stylish, handcrafted, bespoke and high-end feel. 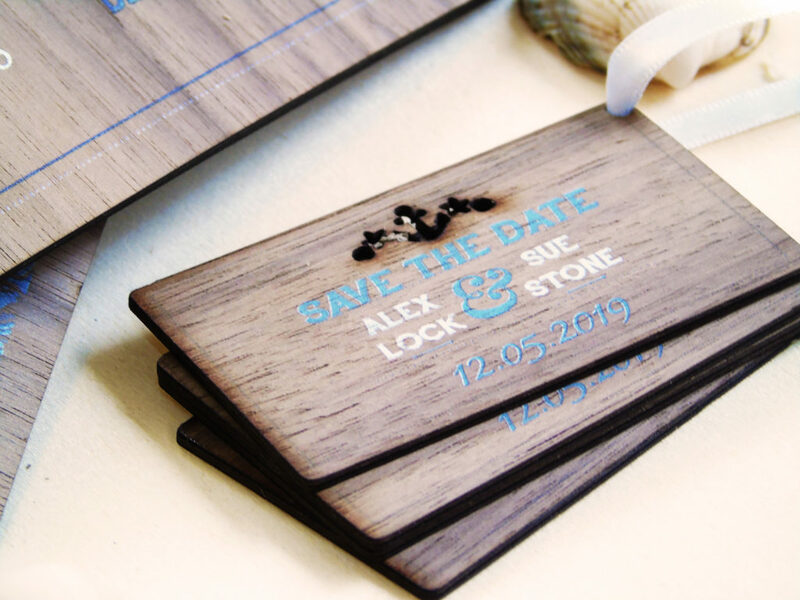 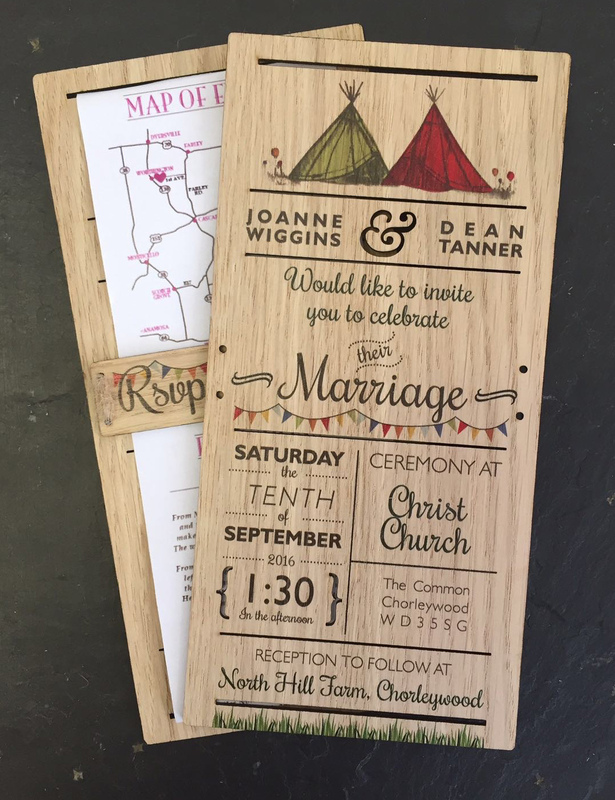 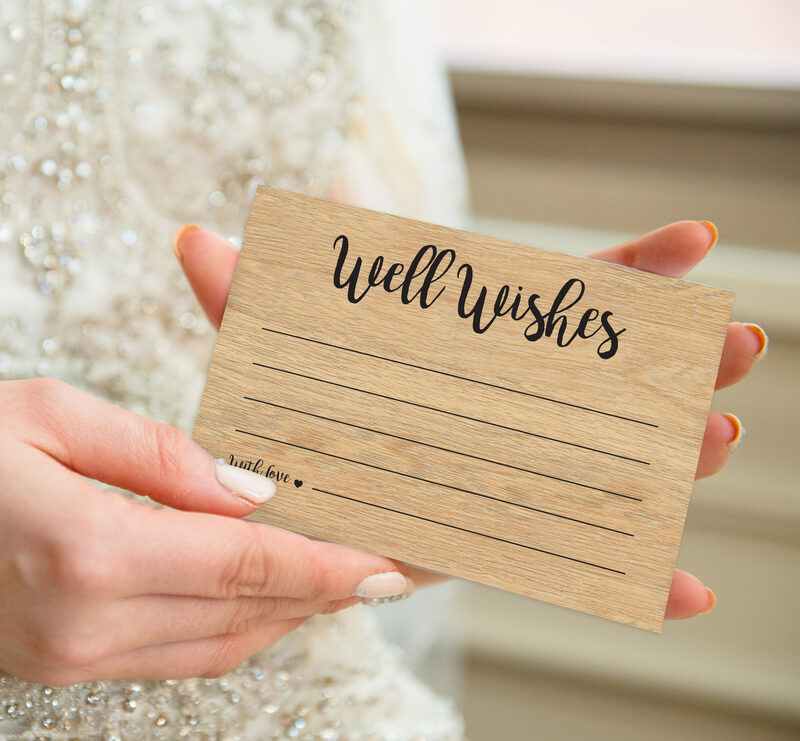 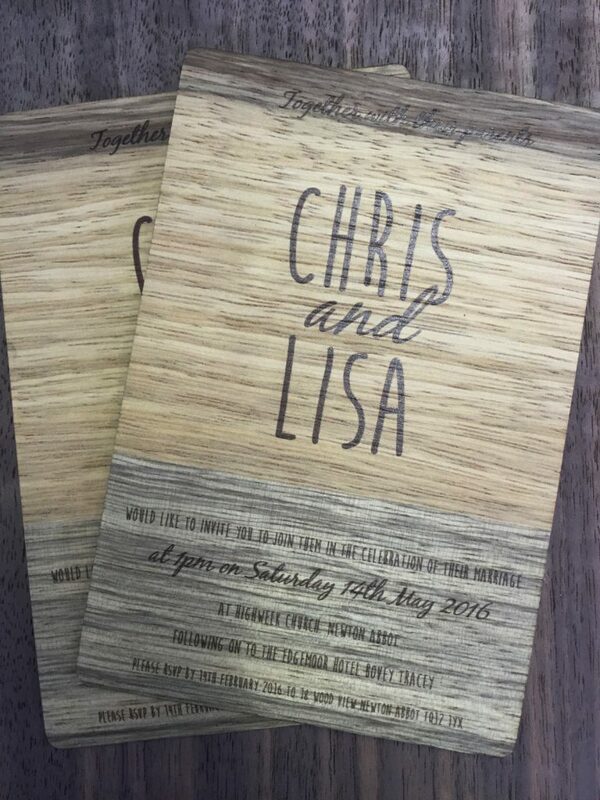 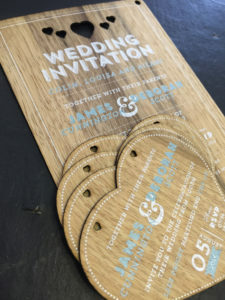 Your guests will know to expect a stylish and well thought out wedding, when they receive a wooden wedding invitation, made exclusively for you by inspirwood. 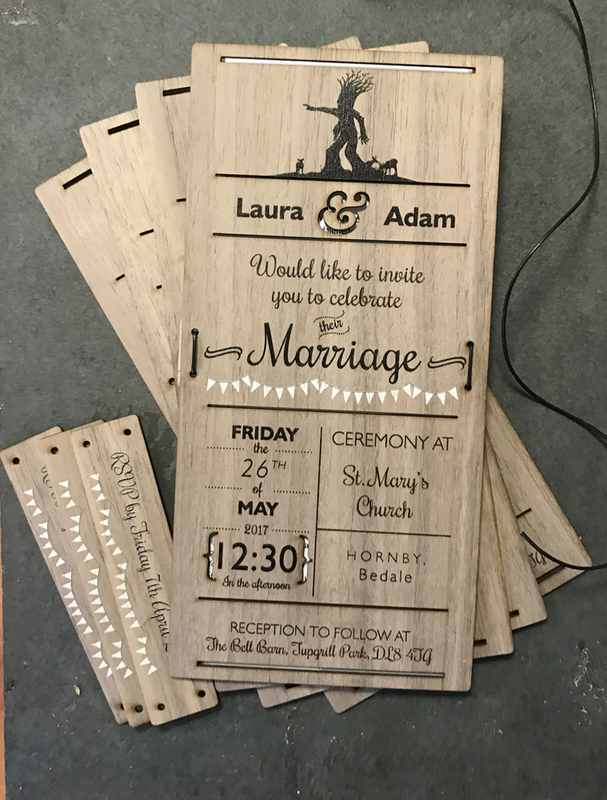 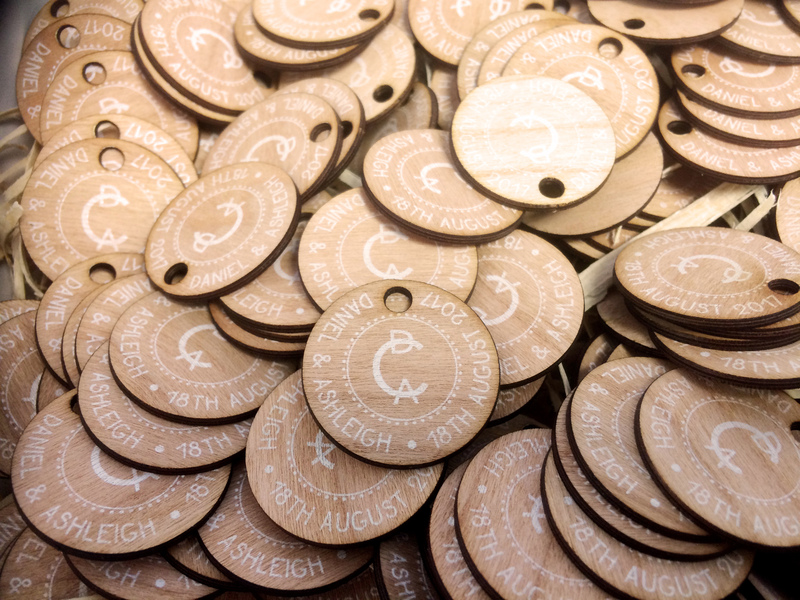 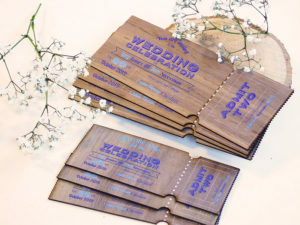 We design them for you or if you have your own artwork, we can use that too, combining high resolution printing techniques, laser cutting and engraving, and different woods to make your wooden wedding invites make a great impression. 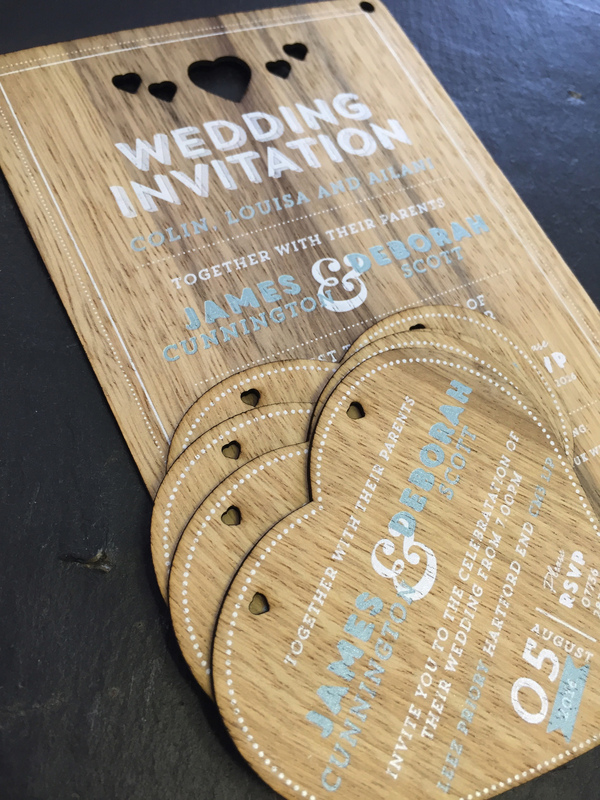 Here are some of the invitations we have done over the last year, here in our devon based studio. 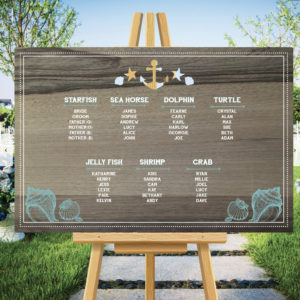 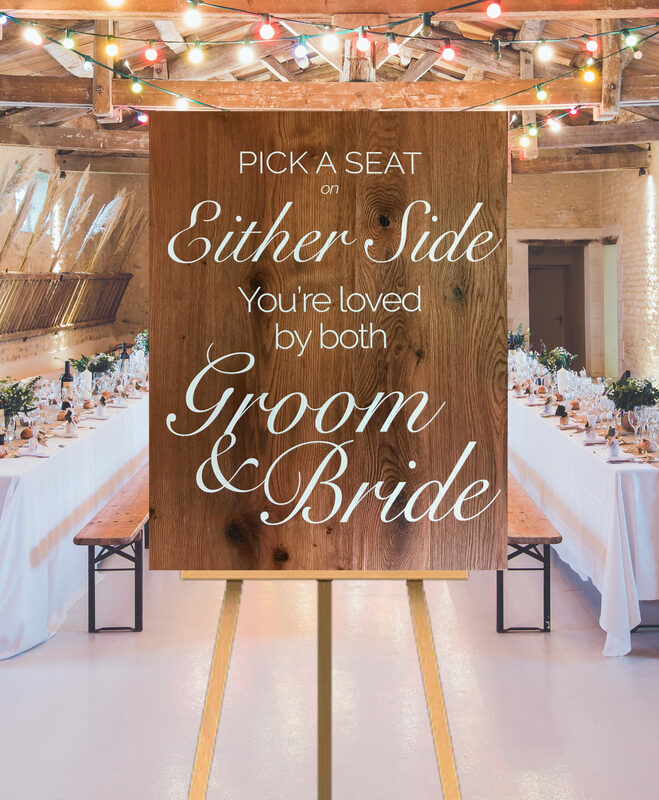 We have a range of wedding seating plan boards that can be printed directly onto wood. 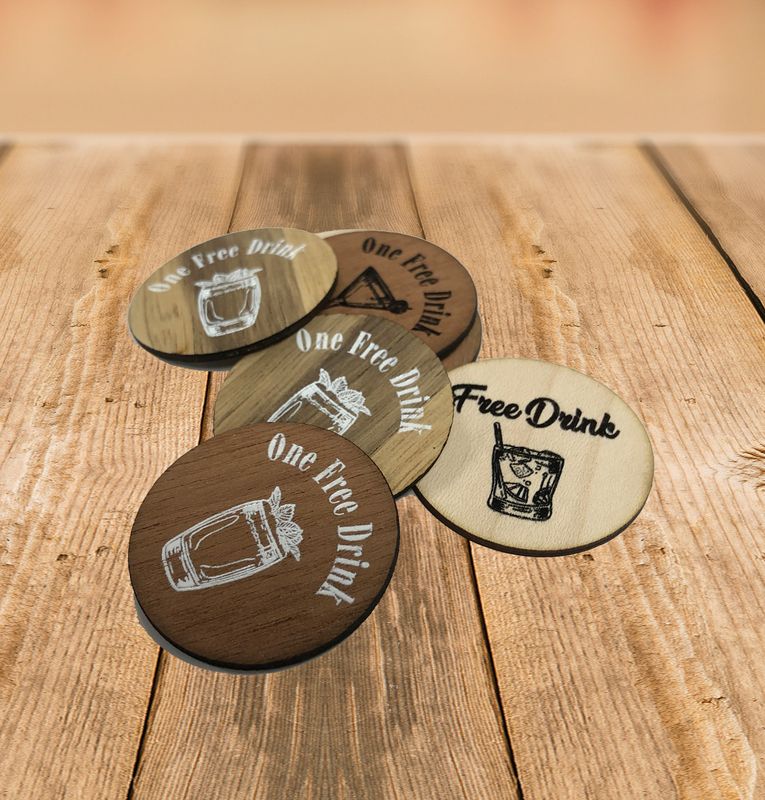 The normal sizes are A1 or A2, however, we can print these at any size you require. You can have as many names and tables as you need. 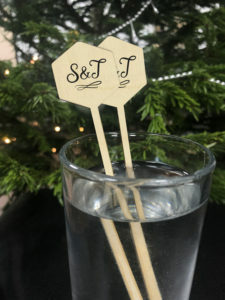 Set the scene for your wedding from the start! 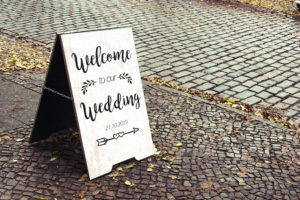 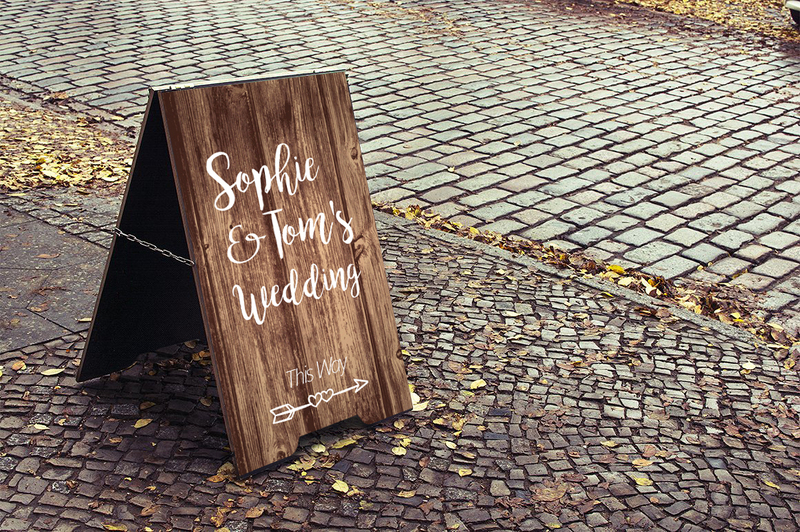 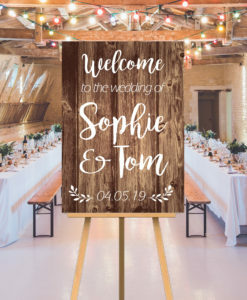 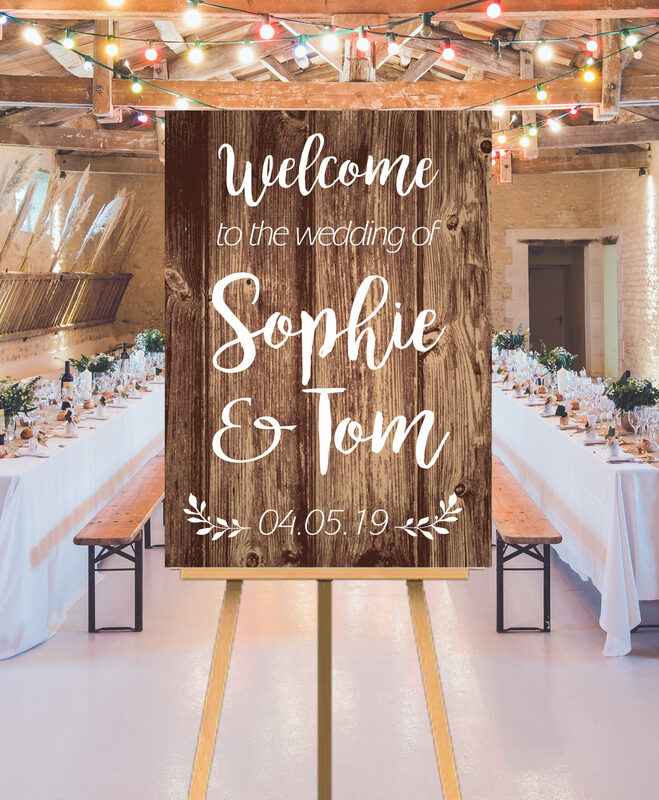 Why not have bespoke wedding signage at your venue, they are a great way of signposting your guests and creating some great finishing touches. 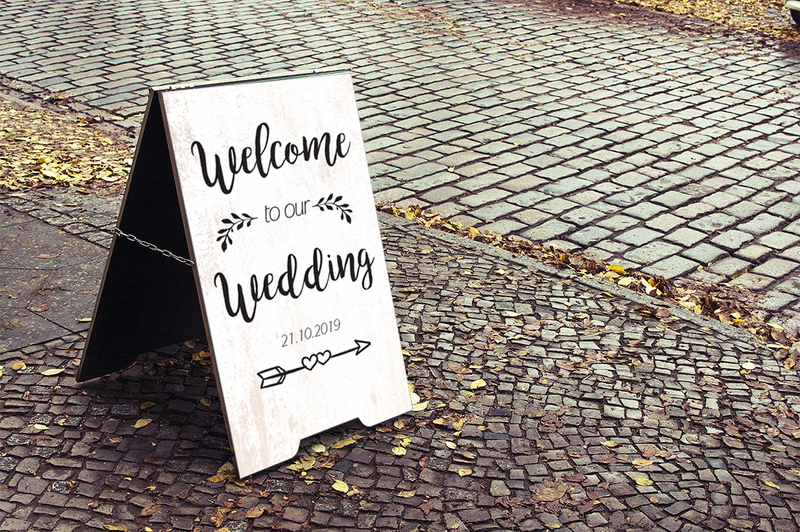 We are able to make and cut large center pieces too, such as wedding doors, walling and leading features for the bride or guests to walk through. 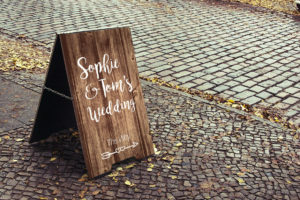 These can also include rustic A-boards, table signs and more!